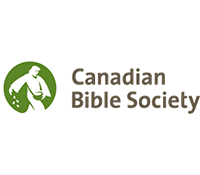 Formally founded in 1904 and chartered in 1906, the Canadian Bible Society is a member of the United Bibles Societies, a fellowship of 145 national Bible societies around the world. The societies work in partnership with churches and other Bible agencies to facilitate and support translation and Scripture distribution work around the globe. CBS exists to reach every man, woman, and child with the life-giving Word of God. Our core mandates include translation, publication, distribution and engagement – encouraging the use of God’s life-giving Word.